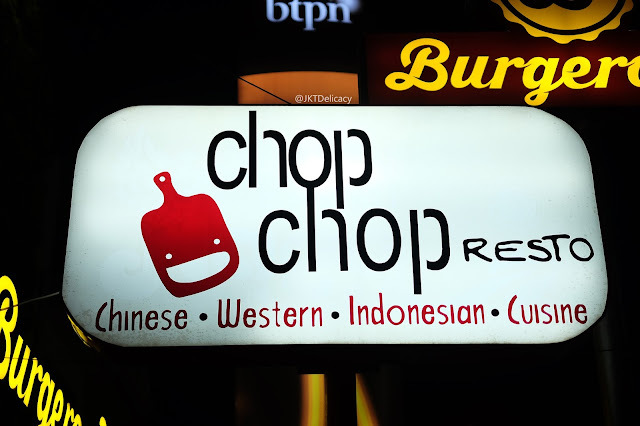 I'm honestly not really into Chinese or Indonesian cuisine when it comes to going out for lunch or dinner with my wife (even when we were still dating as a BF & GF). I am also a big No No to Sushi/Sashimi thing, sounds very picky right. But not really actually, I eat almost everything if you ask me to. This Chop Chop restaurant is one example mix Chinese, Western, Indonesian cuisine that I really recommend you to try. 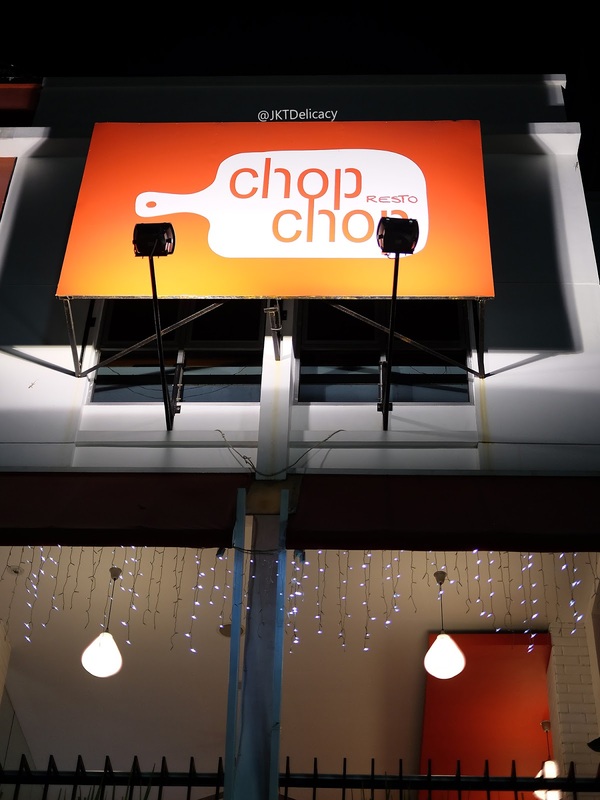 Chop Chop is located in Ruko Taman Ratu Indah, just exactly next to Burgerous or across the new Anton Salon if you knew. 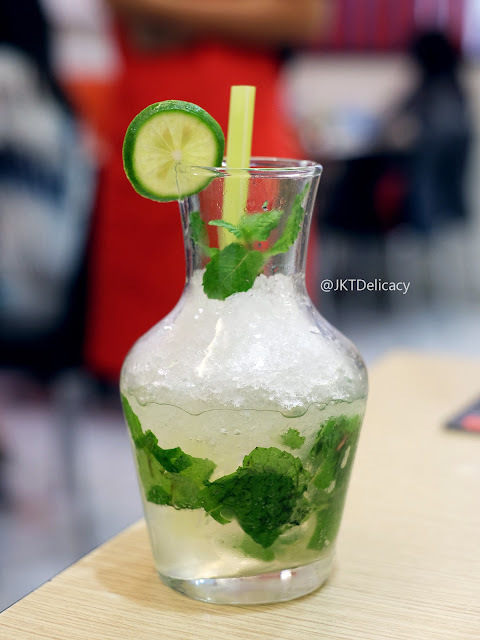 It is very strategically located on the main street of Taman Ratu Indah and accessible from Jalan Panjang, Taman Cosmos or Green Ville in West Jakarta. 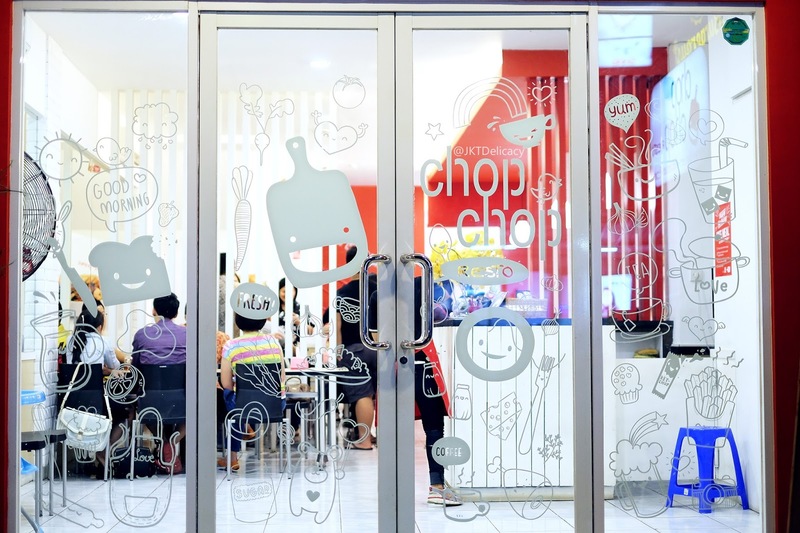 The name Chop Chop reminds me of an typical oldies Chinese cuisine like Nasi Hainam, Nasi Campur, and stuffs like that. 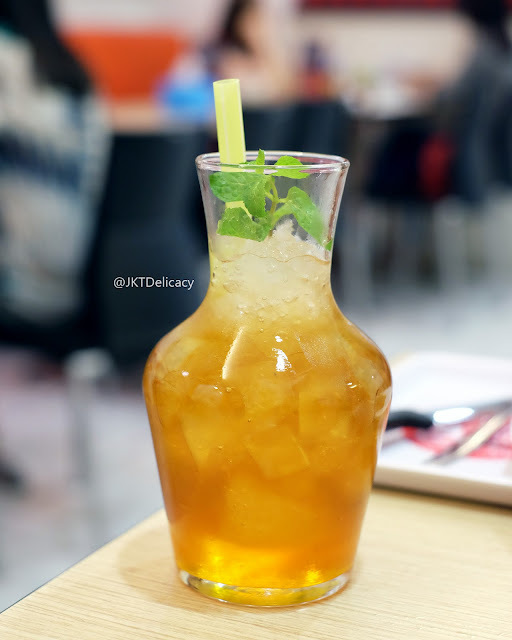 But this one is a modern mix of Chinese, Western, and Indonesian cuisine into one place. The menu book and the design interior are very simple, its not your kind of fancy cafe that you usually see in Senopati or PIK area. But, its still a pretty comfortable place to hang out for a chat with your friends or family. What brought me here was not something that people are normally looking for like coffee, cake/ pastries, pizza, or burger. 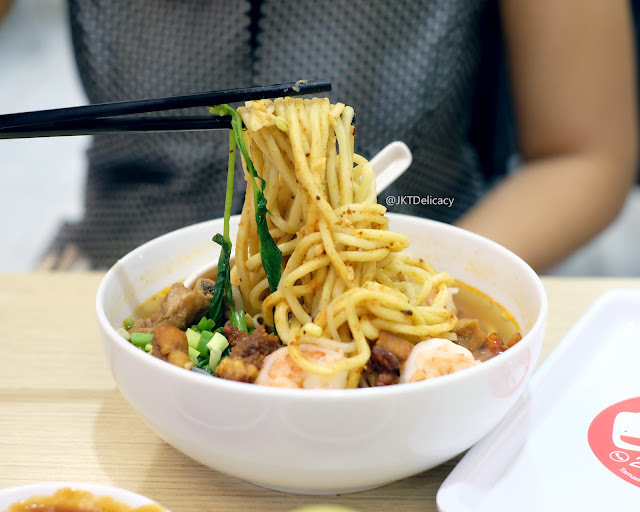 Because, I am talking about the their famous Mie Udang Singapore. It is still a word of mouth for this dish and I knew it from my brother who tried it just a week before I came there. And I have to say that this was really good! The soup was light and clear but very tasty and shrimpy. 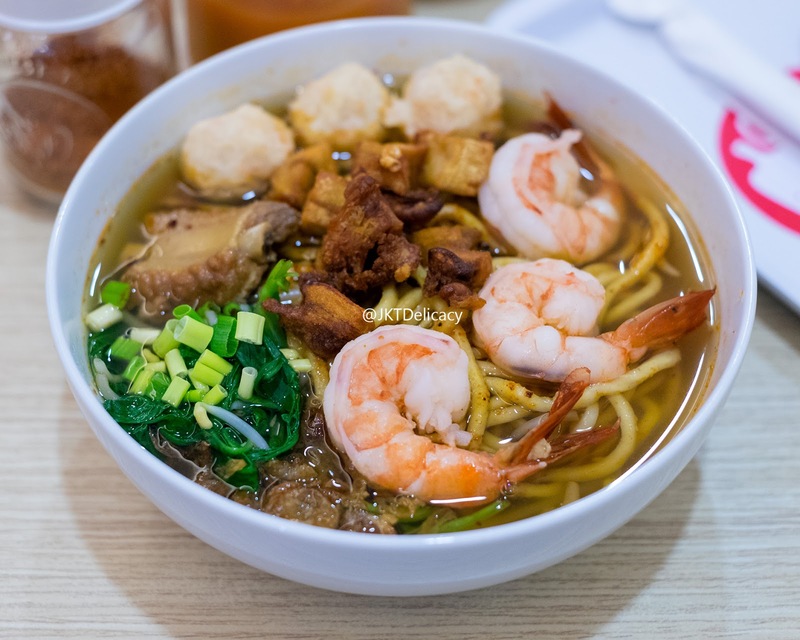 The noodle was a typical big and firm yellow hokkian noodle, normally for mie godok or mie jawa. They put some shrimps, meatballs (like fish), pai kut, kangkung, and dry pork skin. I really recommend this one if you happen to visit here. It is only 30.000 something, very worth it. But people who live around Taman Ratu, Green ville, or around there will definitely compare this to Mie Udang Singapore in Grenville (next to Saung Grenville). 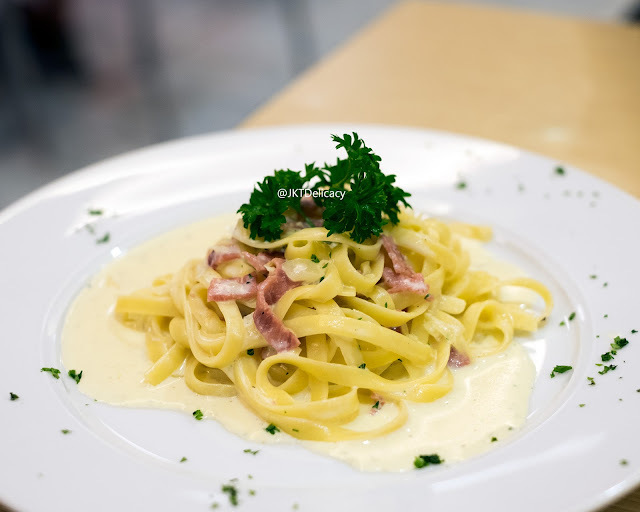 This is a simple fetucinne with creamy carbonara and smoked beef. Nothing fancy about this, its just humble pasta. The overall taste was pretty okay for me. If I have to be very honest with this review, I have to say that this one was the least favorite for me. I talked about this dish with the two owners just to give suggestions on what to improve. 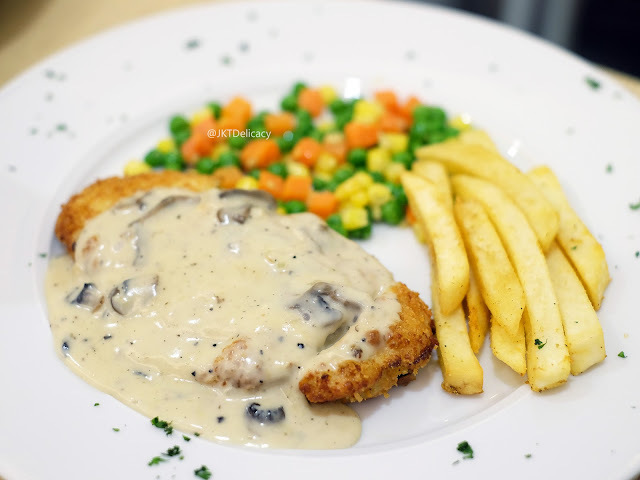 Maybe I have tried so many Cordon Blue out there and my expectation was quite high for this cuisine. Because, normally when you cut it opened, the mozarella cheese would melt like effortless. 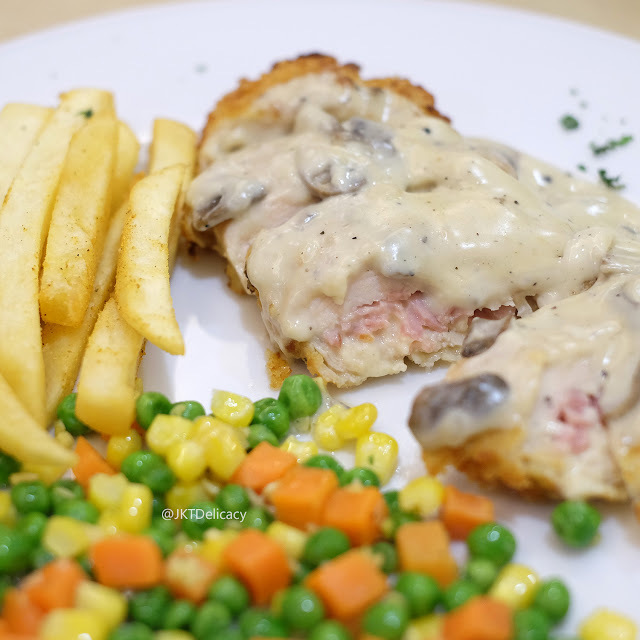 But this one was lacking of that cheese, and the chicken breast itself was plain for me. The meat texture was like watery, I even didn't know how to explain to them LOL. But I hope they improve on this one. The fries was really good though! 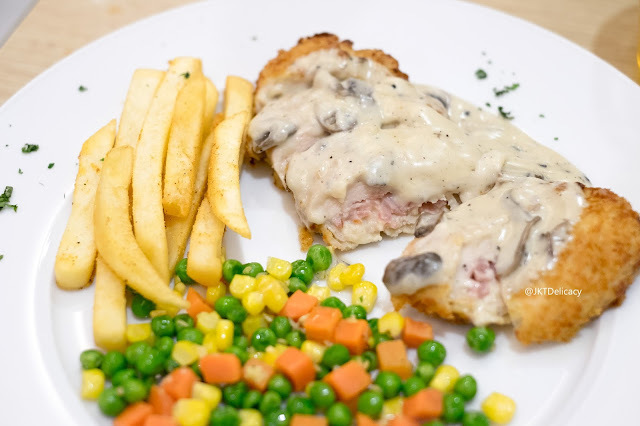 Btw, I also suggested to separate the mushroom cream sauce from the cordon blue. This is the latest menu by Chop Chop. 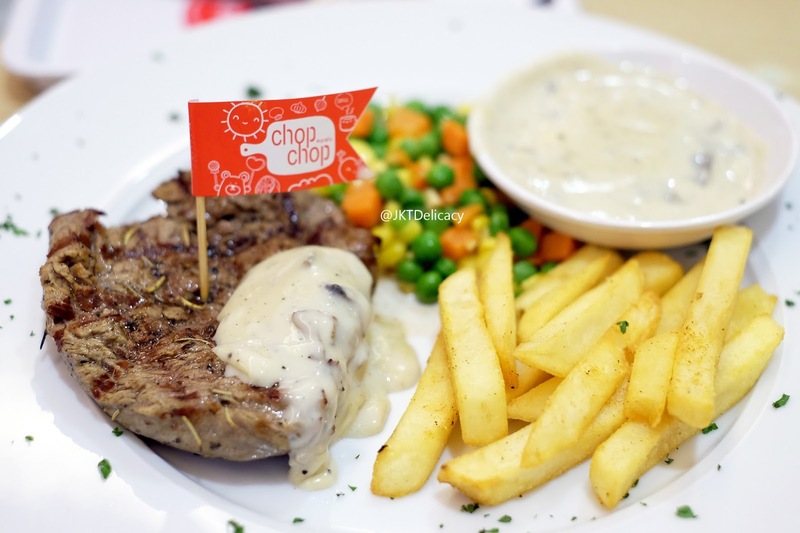 They tried to diversify their menus by adding some steak from Rib Eye, Sirloin to Tenderloin. This one was pretty good actually, I liked the smoky flavor and it was quite tender as its name. The fries was good, just like the one from Cordon Blue. I expected the size to be bigger, probably like 150 or 200 gram. Not sure whats the size there, but its probably 100 gram. 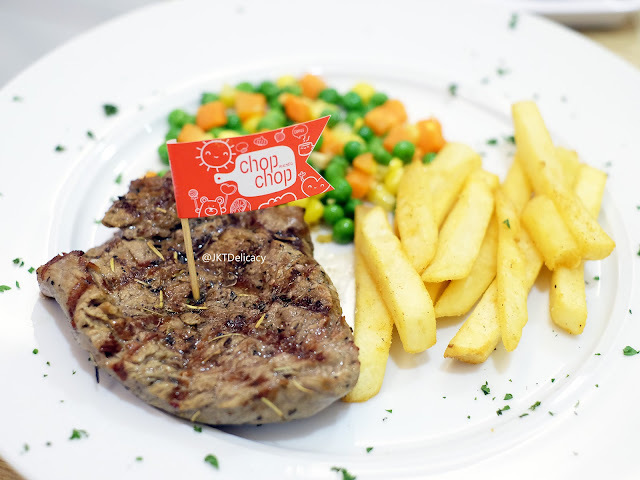 But well, the price is only IDR 110.000 nett.